Lyft employees visited London last month where they met with politicians and business organisations, and the company may be planning a launch in London. BuzzFeed News reports that London could be the ride-sharing company’s first international location. 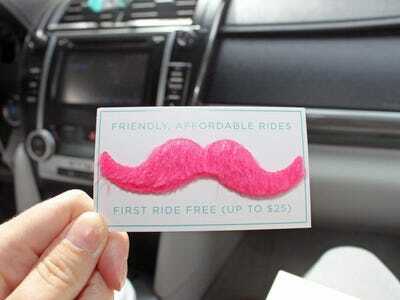 Lyft likely isn’t looking to launch in the next few months, as its business model is currently illegal in London. Uber has passed regulatory checks, but Lyft’s ride-sharing model, where people share the same vehicle, won’t be allowed in London unless the city’s laws are changed. Uber is extremely popular in London, although it hasn’t been an easy ride for the company. Just like in New York, Uber has been hit with a series of protests in London. In September London taxi drivers blocked the city’s streets in protest at Uber’s policies. Lyft gave a statement to BuzzFeed in which the company confirmed that several of its staff have visited London, saying “a couple Lyft employees visited London” to “explore opportunities,” but denied that the company is planning on a launch in England.